Award-winning publisher BOOM! 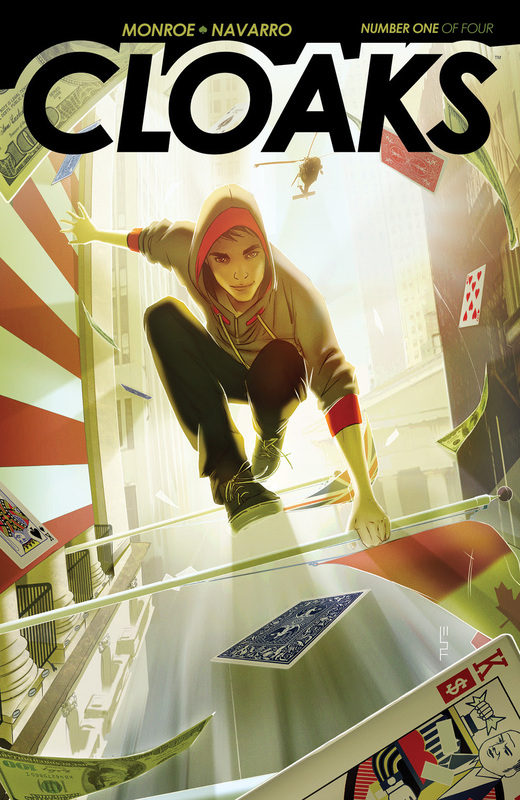 Studios is pleased to announce the September debut of CLOAKS, a new limited series that combines the thrills of a good magic trick with a Black Ops twist. This new magical thriller is created by actor David Henrie, who learned a thing or two about magic in his role as Justin Russo on the Disney Channel Original Series Wizards of Waverly Place. Henrie, alongside writer Caleb Monroe (STEED AND MRS. PEEL, Batman) and artist Mariano Navarro (PROTOCOL: ORPHANS), have created the Robin Hood of Wall Street, tricking the rich out of their money and inadvertently winding up on the radar of a covert Black Ops organization. In the Big Apple, a highly skilled street illusionist named Adam blows the minds of crowds with logic-defying acts, while surreptitiously using his artistry to steal from corrupt Wall Street investment bankers and re-distribute their ill-begotten wealth to those in need. He’s a modern-day Robin Hood, but his travails garner the attention of the local authorities. While evading their pursuit, Adam is confronted by three Suits and quickly ascertains that freedom has a cost—in order to maintain his liberty, he must join this clandestine Black Ops organization simply known as CLOAKS. CLOAKS #1 arrives in comic shops on September 3rd with a cover price of $3.99 under Diamond order code JUL140963. 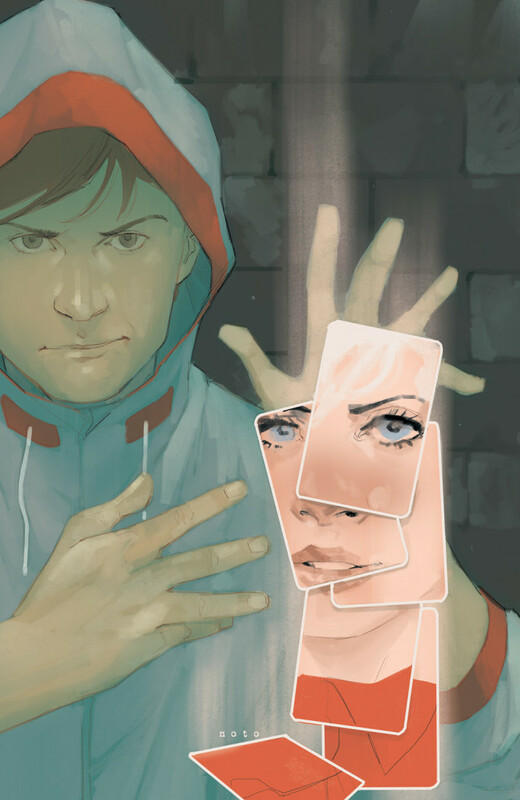 The first issue will ship with a main cover by W. Scott Forbes and retailer incentive cover by Phil Noto. Not sure where to find your nearest comic retailer? Use comicshoplocator.com or findacomicshop.com to find one! It’s also available for order directly from boom-studios.com.